12th and 13th centuries – Hundreds of years ago, a number of women practised self-starvation as a religious practice. Saint Catherine of Siena (1347-1380) was one of the most well-known of these women who would starve themselves for weeks or eat very little for months at a time. They believed that yielding to food was a sin; fasting was a way to show their devotion to God. 1888 – Doctors noted conditions similar to what we now know as eating disorders in both male and female patients. 1903 – Dr Pierre Janet noted behaviours in his patients. Other doctors reported patients displaying various signs of what we now know as bulimia — including binging, purging and abusing laxatives to maintain a low weight. Eating disorders were often treated as endocrine disorders at this time. The 1940s – Psychoanalysis influenced how professionals thought about eating disorders. These professionals considered anorexia nervosa as being linked to possibly sexual origins. Psychiatrists started taking on more patients showing signs of eating disorders. 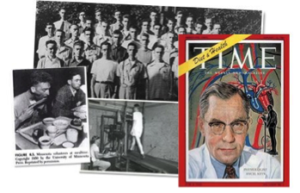 1944- Dr Ancel Keys does his first six-month study to determine how to help people recovering from low weight and long-term starvation. Working with 75 healthy male volunteers from the University, his work revealed many of the symptoms of today’s eating disorders, and actually triggered binge eating, anorexia and bulimia in the test subjects. Sadly his study is largely dismissed, as it did not include women, and was for the purpose of helping the victims in Europe following the war. He found, however, that within the first-month evidence of the mind-altering effects of starvation were present. 1959 – Dr Albert Stunkard first described that BED seemed to be linked to night-eating. 1973 – Psychoanalyst Dr Hilde Bruch released a highly influential book: Eating Disorders: Obesity, Anorexia Nervosa and the Person Within. 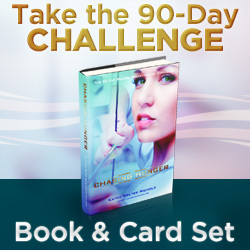 This book coincided with an increase in both anorexia and bulimia. 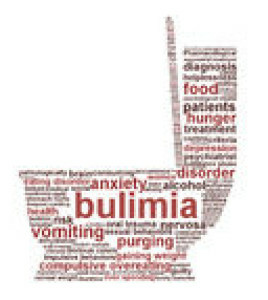 1977 –Bulimia (binging and purging by exercise, vomiting or using laxatives) cases rapidly rose during the 1970s and 1980s in the U.S., England, France, Italy and Germany. 1979 – Gerard Russell published an influential article “Bulimia Nervosa: An Ominous Variant of Anorexia Nervosa,” noting the differences in symptoms and health risks between patients who have anorexia and patients who have bulimia. 1980 – The Diagnostic and Statistical Manual of Mental Disorders (DSM-III) added an eating disorders section including anorexia. The 1980s – College counselling centres expanded counselling services for eating disorders. Celebrities started speaking out about their own eating disorders (Diana, Princess of Wales). Some treatment practices that are still used today (refeeding, talk therapy) were used with patients. 1983 – Famous people like Karen Carpenter have their death linked to anorexia — increasing awareness of eating disorders in the public eye. 1987 – bulimia is now recognized as a separate eating disorder for the first time. 1994 – Previously it was listed as a feature of “eating disorder not otherwise specified” (EDNOS). 2013 – Binge eating disorder is recognized as its own disorder For the first time, people are able to get treatment for this disorder and have it covered by insurance programs. The 2018 and beyond – Eating disorder treatment now encompasses a holistic model that addresses multiple approaches — medical, psychological, nutritional, and more. However, we can do much more.